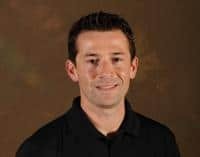 Andy Rojo is the former recruiting coordinator and hitting coach for Division 1 Long Beach State under Mike Weathers for the 2008, 2009, 2010 seasons. In 2008, he helped coach the Dirtbags to the Big West Conference title. In his three years at Long Beach State, a total of 23 players were drafted with 12 of those players taken in the top 10 rounds. Prior to coaching at Long Beach State, he served as Associate Head Baseball Coach at Riverside City College under the guidance of Head Coach Dennis Rogers where he helped lead the Tigers to the 2007 California Junior College State title. Off the field, Rojo was a featured speaker at the 2008 American Baseball Coaches Association’s National Convention (ABCA) in Philadelphia. He teamed up with his former college coach Dennis Rogers and presented on infield development. Currently, Andy serves as USA Baseball’s Regional Director of the National Team Identification Series (NTIS) for Southern California, Hawaii, Arizona, New Mexico, Nevada, Utah, Colorado, Texas, Louisiana, Arkansas, Oklahoma, and Kansas. The NTIS is designed to identify the top 11U, 12U, 13U, 14U, 15U, and 16U baseball players from these regions with the ultimate goal of being selected to represent our country as part of Team USA. In addition, he is Co-Director of Miracle League Los Angeles, a baseball field and league designed to serve special needs children and young adults. Andy’s partnership with the Los Angeles Dodgers Foundation was instrumental in helping to create and build this unique and wonderful baseball organization. The Miracle League is the first of its kind in the greater Los Angeles area. The colleges listed on each camp event have committed to attend. We plan on having them in attendance unless some unforeseen situation occurs such as personal family emergency, termination from their program, acceptance of a job at another program or they schedule a camp of their own during these dates. In any of these events, Rising Prospects will attempt to fill their spot with another quality college program. In the event of inclement weather, the camp will be conducted indoors. Rising Prospects College Baseball Camps are open to any and all high school players and comprise a series of showcase and advanced skills camps designed to bring high school players the necessary exposure and skill acquisition needed to advance to the next level. Copyright © 2019 Rising Prospects. Website by Webstract Marketing.